Industry research suggests that more than 90% of consumers use loyalty cards at least once a month, but that almost a third don't have their card with them when they reach the till. So it’s no surprise that brands have turned their attention to making loyalty schemes not just personalised but friction-free. If you’re in the business of driving brand loyalty, it’s all part of the customer service. The move to app-based loyalty schemes is a relatively new development. Virgin is about to launch its first-ever cross-brand platform, Virgin Red, allowing consumers to register their accounts from 17 Virgin businesses and gain access to rewards and offers, with better ones for those who register more accounts. Virgin Red marketing director Helen Tupper told Campaign that the app, created for the brand by Mr President, was motivated by the need to better reward the small segment – about 10% – of customers who had a relationship with more than one of its brands. 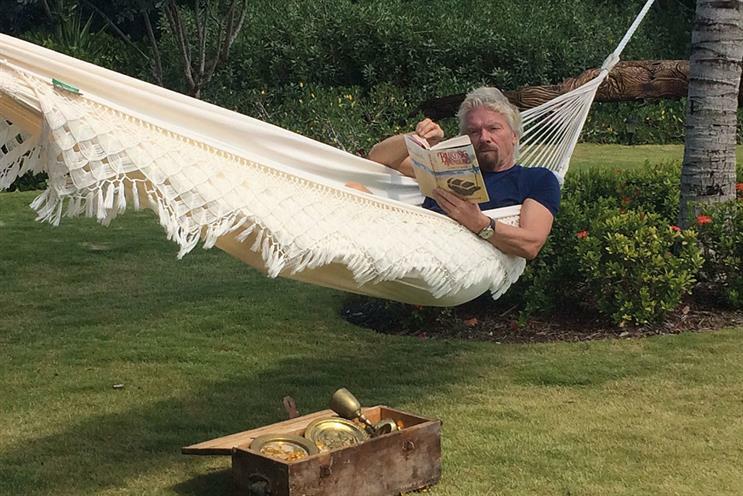 Those customers, Virgin found, spent more through each of the services they used and had a lower rate of churn – meaning a programme that kept these people coming back was a priority. Tupper said the technical challenges involved in linking so many systems prevented the company from doing this in the past; the app now puts the user in control. But in a world of instant price comparison, there is no shortage of people proclaiming the death of loyalty, and many believe the concept means little to brand-promiscuous millennials. The reality is more complicated. Research released this month by the Direct Marketing Association found that while 40% of consumers said they were actively loyal to brands, 27% said they were actively disloyal. 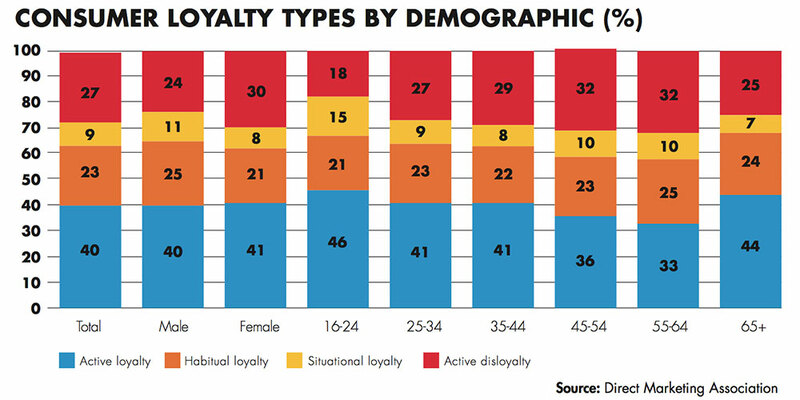 Moreover, it is actually 16- to 24-years-olds who are the most loyal demographic (see graph). Andrew Waddell, head of client services at Proximity, says loyalty schemes that succeed in the future will move beyond a transactional approach to foster "emotional loyalty". This thinking is behind the agency’s John Lewis scheme, My John Lewis, which eschews point-collecting to offer rewards designed to enrich the experience of visiting a store. "The big challenge is that loyalty programmes are made or lost on their ability to maintain and communicate the value exchange," Waddell says. "One of the ways of getting around that is to maintain that common language of points." This is what Virgin Red has done: it allows users to win points, which can be used in-app to unlock offers and competitions but are not directly redeemable. Another loyalty app that has won plaudits is Starbucks Rewards, which enables users to order and pay for drinks before arriving in-store, as well as earn and redeem rewards. "The most successful digital loyalty mechanics don’t ask for any significant change in human behaviour," Magnus Wood, head of digital strategy at MullenLowe Profero, says. "The Starbucks app enables people to do all of these things with their phone that make it even easier for the regular coffee-drinker, who now doesn’t have to carry a prepaid card. Contrast this with Costa Coffee Club, which does not allow payments." Wood, however, thinks the future of loyalty programmes when targeting young people is not in standalone apps but contained within the likes of Snapchat and Facebook Messenger, as they hardly ever leave these ecosystems. "We’re excited about the possibility of bots to learn your preferences over time and so be able to deliver highly individualised service and loyalty," he says. "When the tech and machine-learning have got better, it’s going to be a natural place for this to happen – and I see that happening within the next 12 to 18 months." Moreover, although apps might be natural environments for younger consumers, brands should not rush into them for the sake of it, Waddell stresses. He believes that while they have the potential to offer deeper customer engagement, they may not be for everyone.